Something else on Henry Louis Gates: It’s not surprising to see the congealing conventional wisdom that Barack Obama screwed up by saying anything about what the Cambridge Police did to him, but it’s disappointing that a number of pundits seem to think not just that it diluted Obama’s focus on healthcare, but that it’s categorically wrong for the President of the United States to take any position in such a situation. I think that position is easy to maintain if you start from the premise that it’s not clear who’s at fault – the premise for much of the media, and the premise Obama implicitly granted credence with the much-hyped Beer Summit. But it is clear that James Crowley was at fault in arresting a man in his own home for being rude to the police. It would still be wrong if it were a young Black man without a cane. It’s wrong regardless of what particular proportions of race, pride, and police authority motivated him to do it. Was it wrong for our Head of State to come out so quickly in praise of Captain Sully for landing his crew safely in the Hudson river? If not, why shouldn’t he have said that what Crowley did to Gates was wrong? 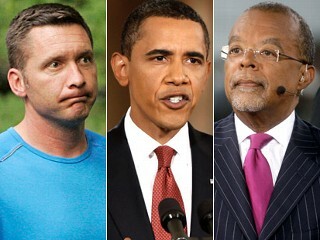 This entry was tagged Barack Obama, Henry Louis Gates, James Crowley, media, race. Bookmark the permalink.